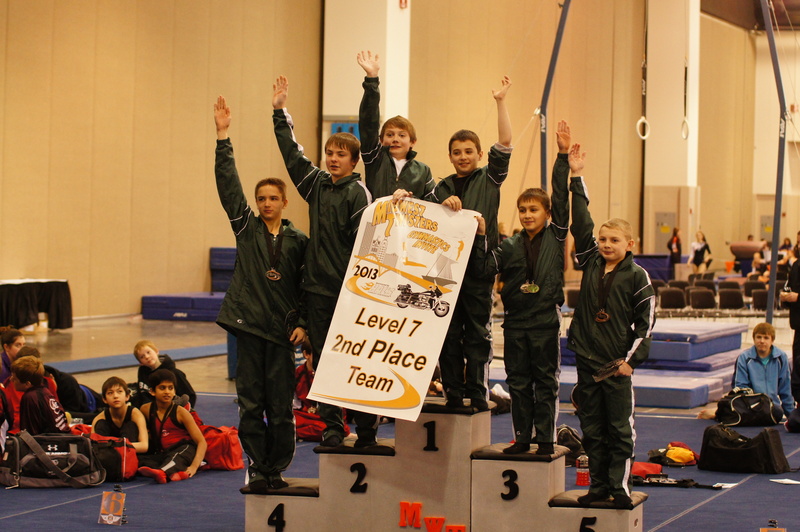 Levels 6-10 competed at the Harley Davidson Meet this past weekend in Milwaukee. Many boys received medals/trophies on individual events and all-around. Level 7 came in 2nd place. Level 8 also took 2nd place. Level 10 came in 1st place and also won a cash prize. Great job guys!